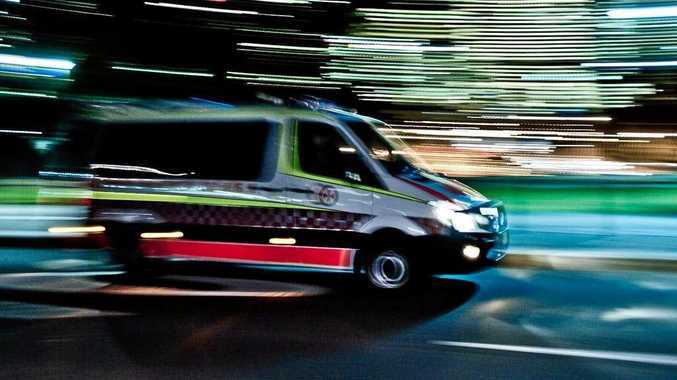 TWO men from the Gold Coast were rushed to Warwick Hospital last night following a single vehicle crash on the Cunningham Highway near Wheatvale. The car ran off the road and into a guard rail around 9.41pm. A man in his 30s was taken away in an ambulance with injuries to his back and legs. Another man in his 20s suffered minor head injuries and was also taken to Warwick Hospital. Both men were in a stable condition when paramedics and police attended the crash.